Can your app take it? - Measure how your app performs under pressure. Easily send as many connections as you need over the time you want and watch us crush your app in real-time to see how it performs. Test as much as you need - When making constant changes and deploying new code, it's just as important to test scalability as it is functionality. We encourage you to test as much as you need and integrate loader io into your continuous deployments. Real-time results! - Watch our pretty graphs in real-time as your load tests run to see how your app is performing. Loader.io is a cloud-based service running on AWS that gives you the ability to quickly and easily stress test your web apps and APIs with thousands of concurrent connections. SendGrid is offering up to 50,000 connections for free as part of an effort to eliminate the cost and time roadblocks that prevent companies from building load testing into their daily coding and deployment routine. Loader.io gives you an alternative to the current cloud-based load testing services, most of which are cost-prohibitive for young cash strapped web applications to use with their frequent app development cycles. Loader.io has already made more than 4 Billion connections, has run more than 50,000 tests, and has more than 9,000 apps registered. Loader.io will simulate connections to your application for the duration that you specify and allow you to watch the load test in real time. The data can then be shared with your team anytime, anywhere via graphs and stats. Need help? 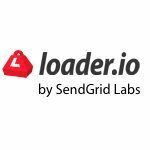 Send us an email at support@loader.io or visit our support site and ask us a question at http://feedback.labs.sendgrid.com . loader.io is a Superb tool! Our sites used to get some complaints here and there, "like site is not pulling", timeout errors and lot, So we decided to use and test our application via loader.io. They are fantastic! I took a list of non performing pages , corrected the necessary codes and tested again. This time i got satisfactory results! Thank you Loader.io you rock.